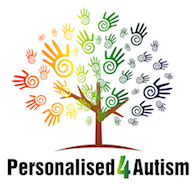 Everything we do at Personalised 4 Autism is about promoting the choice and independence of vulnerable people to have genuine control over their lives, play an active role in the community, and develop as individuals. We know from experience that the best support workers are those who have drive, ambition and a genuine interest in making people’s lives better. We work with people who have difficulties due to their health or care needs, their behaviour or their level of disabilities. If you have experience in providing high quality support to individuals with additional needs, then we want to hear from you. As a Support Worker you will be required to support individuals in all aspects of their everyday lives ranging from accessing the local community to pursuing hobbies. These are physically and mentally challenging roles and a fantastic opportunity for someone who is resilient with the right enthusiasm, skills and aptitude to develop their career in the growing field of health and social care. Apart from previous experience working within health or social care which is essential, we are also seeking candidates familiar with lone working. A driving license is desirable for some roles and essential for others (You would be required to use your own vehicle).